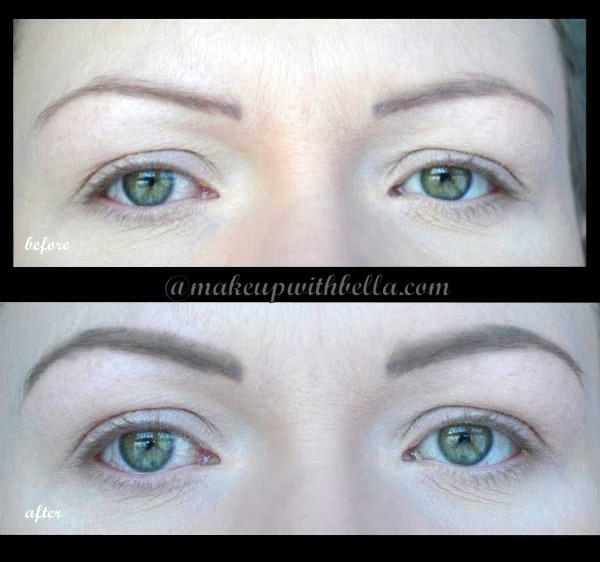 Makeup with Bella: My first eyebrow pomade, am I happy with it?- Review of FreedomLondon Pro Brow Pomade! My first eyebrow pomade, am I happy with it?- Review of FreedomLondon Pro Brow Pomade! There is available 11 shades (I've got the color "Blonde"), so each you will surely find the right shade. The packaging is very solid, glass jar with a content of 2.5 grams, convenient to use. Consistency is very pleasant, creamy, so it's easy to apply and the finish is matt, of course (because how else;)). For the application I usually reach for an angled brushes. The price is sensational, £ 5.00 only. 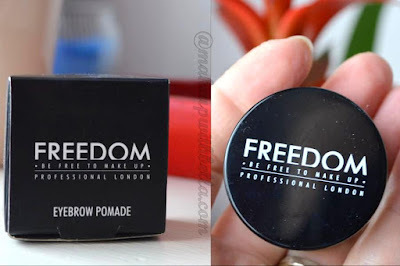 Generally, I highly recommended FreedomLondon Eyebrow Pomade, especially for those of you who starts out painting of the eyebrows with the eyebrow pomade. You can get it at Superdrug or on Freedom London website. It ticks all: it is affordable, efficient, and lasting !!! Recommend it to everyone! If you've got it what are your thoughts? Similar to mine? And BTW, I'm looking for a great longlasting eyebrow pencil (my contest is empty now) :(! Any recommendations ladies? Please, write in a comment below or on the FP.